Laboratory screening and selection of robust consortium of micro algae and transfer of consortium to the industry site and establishment of inoculums were done. 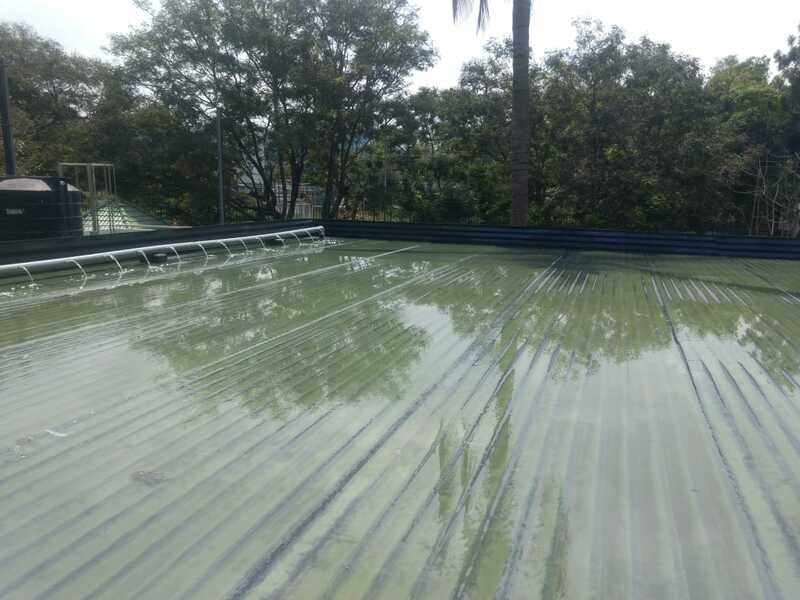 After infrastructure modifications as suggested by PCPL for High TDS and STP were completed dosing of algae consortium was done along with customized nutrients mix to achieve maximum density of algae culture. High TDS effluent evaporation using phycoremediation pilot plant. Totally 7678 liters evaporated with an average of 284 litres reaching a peak of 409 litres which will improved further when the system stabilizes. The trend in theoretical TDS and actual TDS showed a stabilization. Tank TDS after addition/evaporation of 5030 litres of high TDS effluent ( by this time the tank is saturated with effluent only) shows a hyperbola tend to saturate around 65000 TDS which may go even up to 70000 and we expect levelling off after that. This shows the system if performing good and further addition and evaporation of high TDS effluent may not result in increase in TDS. The system is stabilizing faster. © Phycospectrum. All rights reserved.